I am looking for information about and ancestors of my known second great grandmother Martha Jane McDaniel, born in Tennessee in 1825, died in Indian City Oklahoma in 1899. She was married to my second great grandfather Jesse Martin (1820-1889), married 9 June 1841 and lived in Meigs County Tennessee until after 1865. 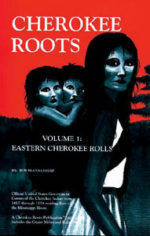 I am in search of my possible Cherokee roots, and any help pointing me in the right direction would be greatly appreciated!! !